Scores beaten, arrested, tortured and injured in major raid by Indonesian Police, Army and allegedly Australian Funded counterterror unit Detachment 88 on Yakuhimo Dormitory at Cenderawasih University, Abepura. URGENT CORRECTION: Despite robust processes of cross-checking, armed attacks by security forces on civilians sometimes creates confusion on casualty figures. NEW information has come to hand in the clear light of day, and two confirming witnesses have retracted their confirmation early Wednesday morning. Only 1 person, Yalli Walilo, is confirmed dead, and he died after being set upon by a group of men believed to be transmigrants or plain clothes intelligence. The other two victims were part of the group that received significant torture at the hands of police, but it is now NOT independently confirmed if these people are dead or severely injured. More info as it becomes available. 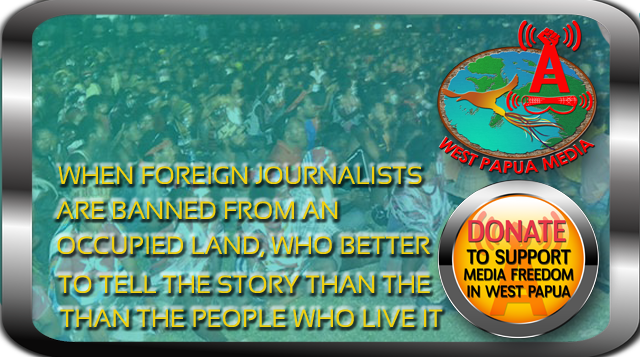 West Papua Media apologises for the distribution of erroneous information. (Jayapura) Brutal scenes occurred at a highland students dormitory in Abepura early on Sunday night (26 August) as a massive assault was carried out on students from the Liborang Asrama (dormitory) by a joint force of Army (TNI) and Police. The students were allegedly targeted because they come from the same tribal group as many members of the West Papua National Committee (KNPB), who have been consistently engaging in peaceful civil resistance in protest at the increasing terror tactics of the Indonesian security forces, which has escalated significantly since May 2012..
1 person been independently confirmed by West Papua Media sources as killed, and at least two are believed but not confirmed to have died from torture wounds inflicted in custody by police, according to human rights sources. 35 people were arrested, and 11 people remain in custody at time of writing undergoing significant and brutal beatings, and acts of torture. Independent human rights sources have alleged that the torture has been carried out by members of Detachment 88, the counter-terror unit funded, armed and trained by the Australian Government, however West Papua Media has not been able to verify this, although D88 has been present at every other dormitory raid this year. According to credible witnesses the trouble began when a man named Yalli Walilo (26) was calling a friend in front of a shop and the Indonesian transmigrant owner of the shop came and angry him. Walilo replied to the colonist “what is my problem, i just want to buy (a) cigarette”. He then sought refuge at the house of Ms. Nehemia Mabel, a member of the Majelis Rakyat Papua (Papuan People’s Assembly), 5 metres from the shop. Walilo then tried to go home, when he was brutally set upon by a group of Indonesian transmigrants with one killing him, and more people again came to kick him until he was dead. The exact circumstances of how police came to be involved is still unclear, but after Walilio’s killing, the Kepala Desa (neighbourhood chief) came and took his body to the Limborang dormitory. Police were alerted by the Kepala Desa amid confusing allegations surround the death of an elderly man who died from a heart attack. It is unconfirmed if these deaths were related. At around 10 pm, Some of Walilo’s friends at the dormitory went to investigate the commotions at the shop, but were ambushed by the large group of transmigrants outside the shop. The students retreated to their dormitory, known also as the Yakuhimo Asrama as large numbers of Yakuhimo highland students live there. One hour later, Police and many troops arrived en masse at the dorm and attacked boarders without negotiations, and also severely beat of minors. Independent witnesses have claimed that men in masks were also present. Victor Yeimo, KNPB Chairman, told West Papua Media that many students in Asrama Liborang had “already been killed, intimidated and terrorised under Indonesian police troops yesterday (27/08). This morning, I have been in the place and I found how Indonesian police kill and intimidate them. I was there while some of them arrived from Papua Police in Jayapura and we have interview some victims and the chief (spokesperson) of the Students”. According to Yeimo many police and troops began attacking the Asrama Liborang with tear gas and water cannon (fire hoses?) inside at 11.00 PM on Sunday night. Police stormed the building and smashed up facilities inside and arrested, and tormented the students, according to both Yeimo and other independent witnesses. On Tuesday evening, Australian ABC television program “7.30 Report” aired an investigation into Mako Tabuni’s killing by Detachment 88, and the intensifying repression of peaceful political free expression by West Papuan activists seek an end to violence and impunity, and a referendum on the disputed territory’s future. The Australian Foreign Minister, Bob Carr, has conceded Detachment 88 is being used on non-violent activists, and has claimed it is acting outside its mandate. More photos, video and information as it becomes processed/translated and available.